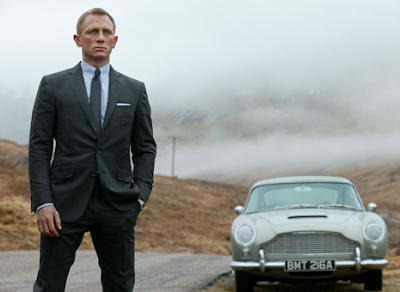 It's starting to come together slowly yet surely, but the 25th James Bond film is still in need of a director. After setting a 2019 release date and all but securing Daniel Craig's return, some unexpected contenders have emerged to actually helm the long-running spy franchise's next film. Yann Demange, Denis Villeneuve and David MacKenzie are the names listed by Deadline, and all are intriguing options. The biggest name on this list is obviously Villeneuve, who has Blade Runner 2049 coming up later this year, which features Skyfall cinematographer Roger Deakins. Don't be surprised if that pairing gets together again. Villeneuve also directed Arrival, Sicario, Prisoners, and Enemy, an impressive list by anybody's measure. McKenzie is the director behind two acclaimed films, the prison drama Starred Up and last year's Hell or High Water. Demange broke out with the Irish thriller '71, and has the Matthew McConaughey-led drug drama, White Boy Rick, on the horizon. Sorry, no Christopher Nolan anywhere to be found, but that was always unlikely. Nolan would want to reinvent the wheel, but the producers behind Bond are sticklers for tradition and likely always will be.